In 2004 a life changing experience led her to a beautiful spiritual awakening and a life without fear. 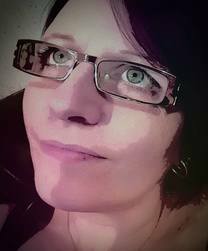 Her philosophy is to share her experiences and knowledge with you so that you too can be empowered, knowing that the true magic in life... is just one thing, you! 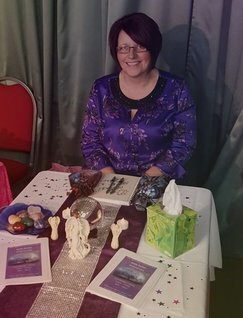 Sonia is a founder of The Spiritual Centre Group, an author to several books and teaches workshops all over the country about energy, tarot, dowsing, crystals, angels, ogham and spirit connection amongst others. 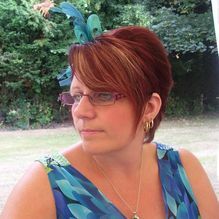 Sonia has a BA (hons) degree in Psychology & Philosophy, a Certificate in Counselling: Fear and Sadness. I live my life through the power of positive thinking and knowledge that we can create the best possible outcomes for ourselves and also acknowledge that certain experiences are needed so that we can learn and grow from them. I always trust my gut instinct and intuition. Upon discovering my own Personality, Soul & Hidden Teacher cards and how accurate they were I knew I had to share this knowledge. How could a deck of cards tell me what experiences I was going to have in my lifetime. How can one card decide what experiences I will have for the whole year, and be totally accurate. The tarot has an illusive beauty that I hope will never leave me. Cards that can unlock our thoughts and emotions and give us guidance for moving forward. The tarot reveals the truth, for me there is no negativity, only good and bad experiences, all of which we can learn from. The tarot reveals our destiny. 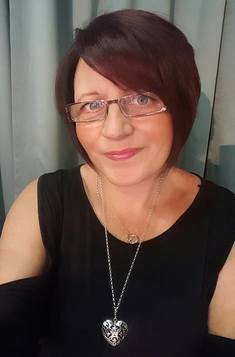 I am a medium who embraces the gifts of clairvoyance, clairsentience and clairaudience to connect to the spirit world. I never ever doubt anything that spirit give me and feel totally humble that I am able to connect to loved ones who have returned to the light and to be able to pass on messages and give proof of the spirit world. I ask them to draw close so that their energy is within my aura. We can get great comfort from the knowledge that our loved ones are still close and walk alongside us. Spirit have guided me in a way that now brings me inner joy and peace. 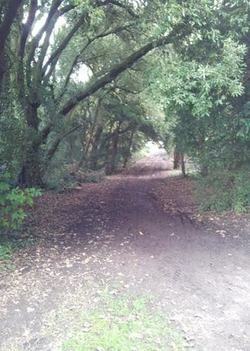 I hope our paths will cross and you will be drawn to me for a reading. Healing for the mind, body and soul. Rahanni is a 5th dimensional healing modality. Rahanni balances the masculine and feminine energies working on a high vibration, bringing truth, love and compassion. Are you ready to change your consciousness. Live the life you deserve and free yourself from negatives thoughts and fears. 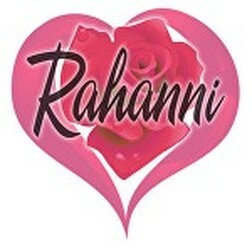 Rahanni can help in all areas of life. Overcoming fear has been an ongoing process for myself and in certain areas one of my biggest achievements. We are born without fear, as we grow and learn the fears accumulate, some manifest into our adult life. Understanding that nothing can happen to us and that everything comes from within and that we can change how we react to these fears. Dealing with death can be one of the most traumatic experiences we will ever face. Losing someone from the earth plane that we love so dearly and spend so much of our time with takes a lot of adjusting. We may encounter many feelings ranging from shock, fear, anger, guilt or depression. All these feelings are perfectly normal and natural. We can ease the pain both physically and on a spiritual level, talking about our loved ones and our feelings. 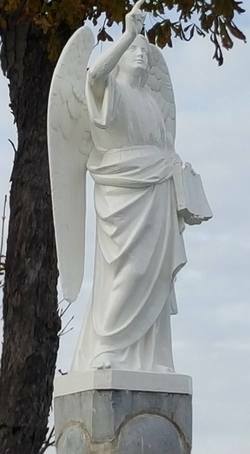 It can bring great comfort in knowing they are safe and looking over us. Bnwyfre' Healing Therapies is a life time of experiences and collective energies brought to one place for your discovery. To spend a life engaging with spirit and to be able to understand it enough to be able to utilise it for the maximum benefit of all is an amazing concept. Bruce and myself have over the last 10 years worked tirelessly to enable us to present this concept of mutual healing energies. We have a good understanding of life force streams and how to engage with them and co-ordinate them for the greater good. Bnwyfre' (Noo-eef-ruh) means "Breath of Life", it is an ancient Celtic, Druids word. Healing Therapies is holistic, it is the whole spiritual/natural energy caboodle in one.